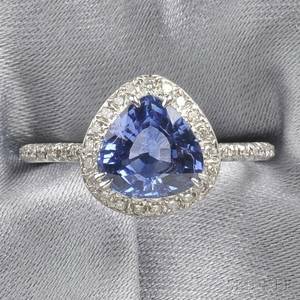 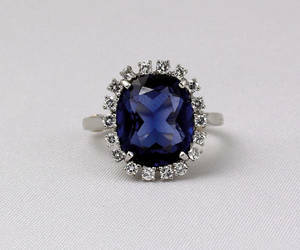 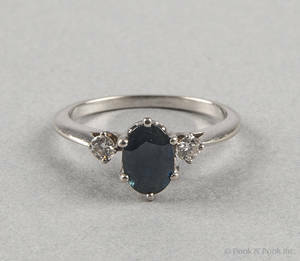 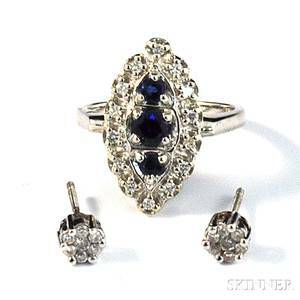 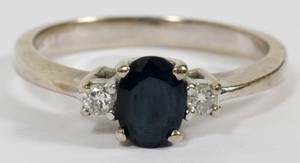 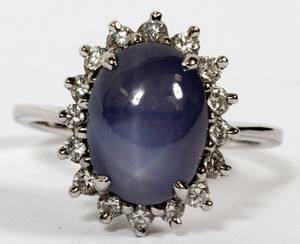 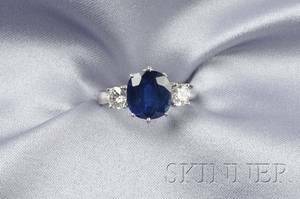 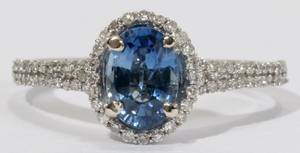 14K white gold sapphire and diamond ring with center cushion cut "Cashmere" blue sapphire, approx. 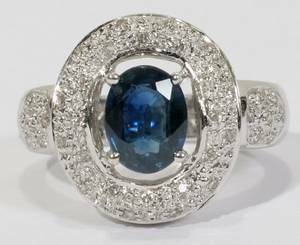 6.80 ct, 12mm x 10mm x 5.5mm, surrounded by 18 full cut diamonds, approx. 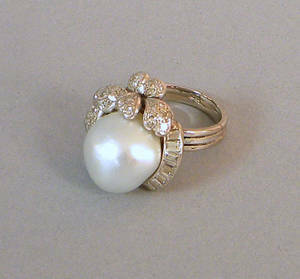 0.02 ct each, 3.5 dwt.